Posted By:Unknown | At:10:08 AM Be the first to comment! 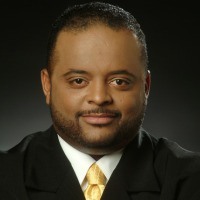 (Huffington Post) -- CNN announced on Monday that it has lifted its suspension on political analyst Roland Martin. According to Fishbowl DC, the network announced the news during a conference call Monday morning. Martin was suspended shortly after Super Bowl Sunday for tweeting controversial messages during the game. Martin caused a firestorm when he tweeted that people should "smack the ish" out of any male fans of David Beckham's underwear commercial. Earlier in the evening, Martin made fun of a football player who arrived at the big game wearing pink. Many of Martin's Twitter followers immediately criticized his tweets for promoting violence among the LGBT community. Critics and activist groups, including gay rights group GLAAD, called for CNN to suspend or fire Martin.